It's the fifty-fifth week of my Tuesday's Truths series! Today is also the somber day after the sixteenth anniversary of the September Eleventh Terrorists attacks, which occurred on September 11, 2001. Therefore I am dedicating this entry to a harsh fact regarding The Tribute In Light, which shines all night long on the anniversary of the September Eleventh Terrorists attacks. A photograph of The Tribute In Light (from a web-page associated with NPR), can be seen atop this entry. This installation is the work of "artists Paul Myoda and Julian LaVerdiere (who on the night of the attacks) watched from Brooklyn as an ashy and gaseous cloud formed over the remnants of the World Trade Center. The lights that illuminated Ground Zero during rescue efforts set this plume of smoke aglow, and through it, both men felt they could still see the buildings. This mirage gave them an idea, which they eventually turned into 'Tribute in Light,' an ephemeral memorial that has served as a vigil for victims on the anniversary of the attacks every year since." 'That night was the first time that it seemed like everybody could gaze into the infinite, and not into an abyss,' LaVerdiere says. Since then, the installation has been put into operation every evening of September 11, and turned off just before dawn the following morning." I've seen the Tribute In Light, and it is a sight to behold, but, unfortunately, this installation has been traumatic for migratory birds. In 2015, Quartz reported that "New York’s Tribute in Light to 9/11 is stunning to both people and birds." 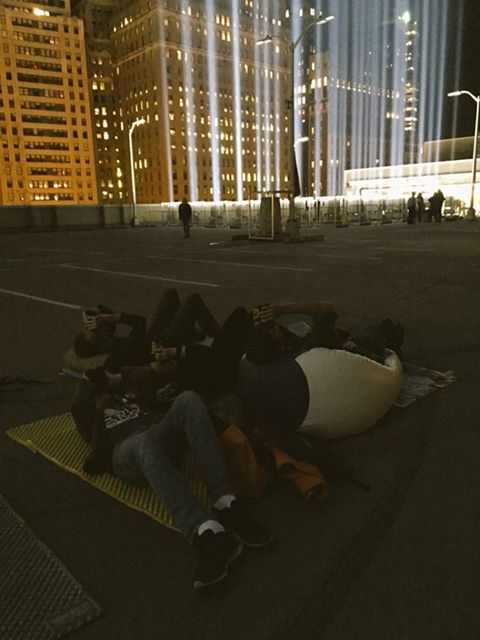 The aforementioned article states the "beautiful 9/11 memorial, the Tribute in Light, had to be turned off and on multiple times last night to make sure migratory birds in the area didn’t lose their way, Gothamist reports." 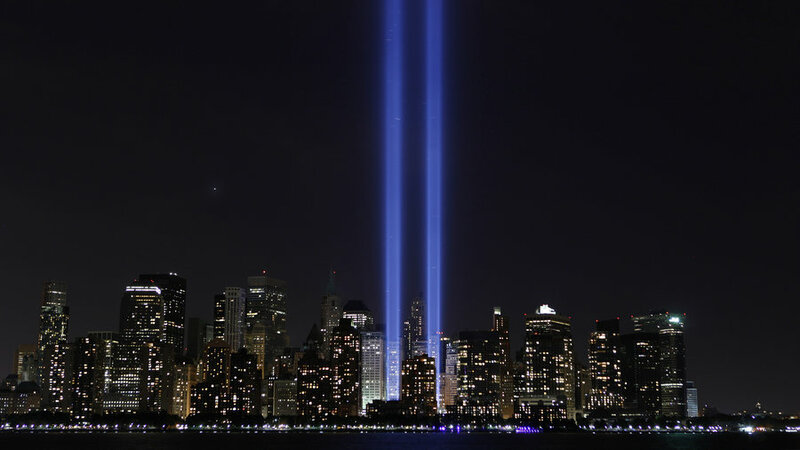 This 2015 article explains that "the tower-like lights that stretch into the air have been a New York 9/11 tradition since 2002. The problem it created for birds, which are attracted and disoriented by lights, became apparent quickly, according to the Audubon Society. Each year, it stations monitors near the installation to make sure that birds aren’t harmed by it. Volunteers, including members of the New York City Audubon Society and 9/11 survivors, stand by watching the beams in two-hour shifts. If a bird drops to the ground or they see a thousand birds circling in the air, they contact the Municipal Art Society of New York (the organization running the Tribute), which then shuts off the lights for 20 minutes so that the birds can clear out. During last night’s memorial, the lights had to be turned off several times." Now, two years later, The Tribute To Light still continues to disrupt the journey of migratory birds, and place a great danger on these creatures, which has even resulted in some of them dying. 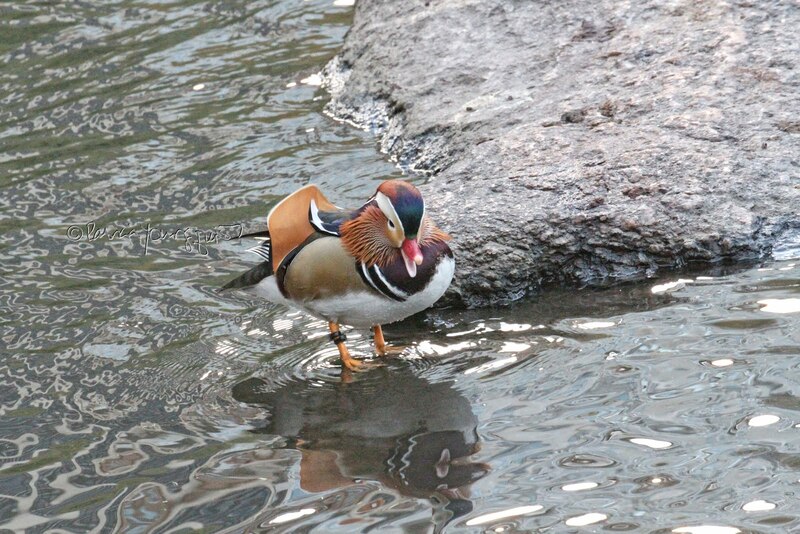 In my TLLG FB newsfeed, this morning, I saw the following photograph which was posted by NYC Audubon. Their picture was accompanied by the following text: "It's 1:45 in the morning. Bird activity at Tribute in Light thankfully is a lot slower than it was earlier in the evening. But our volunteers are still going strong to help us monitor the Tribute for birds that get caught in the lights throughout the entire night!" 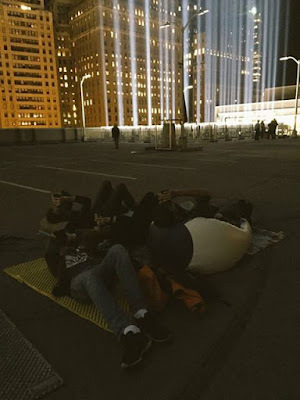 And one of their prior posts, which was published eight hours before the one I've just quoted, included a video accompanied by the following statement: "Our volunteers found that birds were circling the Tribute in Light beams in too great a number, so we asked our partner National September 11 Memorial & Museum to shut off the lights for a brief period to allow the circling birds to disperse and continue safely on their migration. This video shows the Tribute production team turning off the lights at around 11pm. Thank you for helping the birds." "It was quite saddening to see and hear the frantic chirp of confusion. There were too many souls that left tortured on this day, I'm sure they do not want to add more innocent lives when they should be resting in peace." And in response to this comment, someone wrote, "This exactly. Witnessing these birds struggle brings no solace, no soothing on this terrible day. It just brings back the inhumanity and pain we witnessed and felt." Another person weighed in saying, "Love the tribute but I've been down there and it is disturbing to see the birds trapped in the lights." While someone else said. "We are watching from Brooklyn. There are thousands of birds trapped now. Turn off the lights!" NYC Audubon responded to the latter comment with "We just talked with the organizers. Think they are shutting down the lights in a few minutes for a period of time." It so reassuring to know that NYC Audubon is doing what they can about the situation. 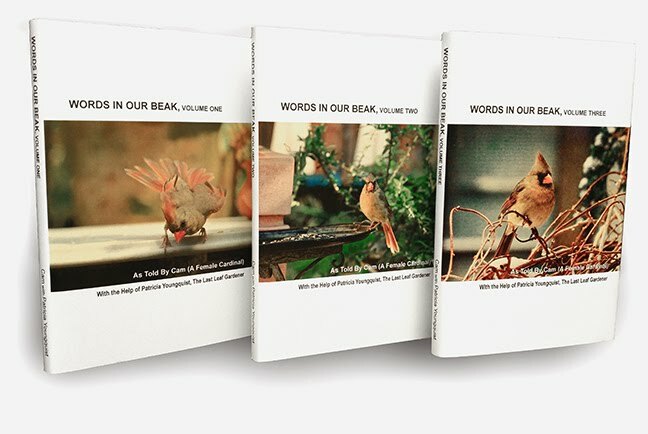 And this morning, as I write this post, I hear birds singing outside. Listening to their tunes, it's hard to fathom the struggles these creature can endure during the night.